Rosta Capek presents another great show for you - this time we want to invite you to Sierra Hull concert! She will perform in Europe for the very first time, and only in Prague, Czech Republic! Sierra Hull will play and sing accompanied by the complete band (Justin Moses, Cory Walker, Jake Stargel and Jacob Eller) in Hotel Pyramida, Prague 6, Czech Republic on December 4th, two shows, one at 5pm and one at 8:30pm. You can find all the info at www.capek.us or write directly to iva@capek.us, where you can also book your tickets. 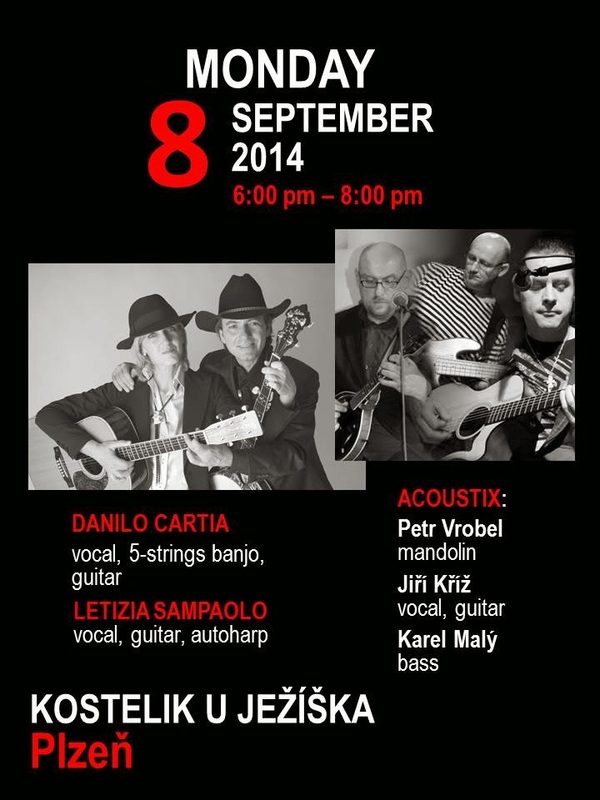 Come to see the higlight of the bluegrass season in the most beautiful city of Prague! 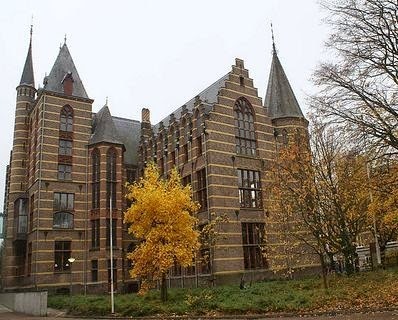 On Sunday, September 28th, the 4th Annual Castle Picking Party gathering will be held at "Het Kasteel" in Groningen. The event starts at 13.00 until 21:00. The building must be cleared out before 21:30. In addition to participating in jam sessions in various rooms throughout the castle, you can also enjoy a number of band performances throught the day. Admission is FREE: There is no admission fee, but donations in the little guitar are welcomed to help cover minimal costs for the event. Parking: on the streets around Het Kasteel is free. Food: Please bring something to place on the Buffet Table. This can be anything -- fruit / desserts / salads / home-made breads / hot or cold dishes, and so on. It is always great eating at the Picking Party! Beverages are not allowed into the castle. All drinks (alcohol / milk / juice / soft drinks) are available from Het Kasteel. This is the arrangement for the use of the building for the day. Instrument Storage: You may leave your instruments in a secure "checking room" beginning at 13:00. There will be volunteers to register your items and they will be controlling this room at all times. The Castle Picking Party is made possible by management and staff of the meeting center Het Kasteel; and by efforts of volunteers and organizers Ben Wiltjer and Hans Kelderhuis. At yesterday's board meeting (via Skype), the EBMA's board accepted Rienk Janssen’s resignation from the position of Chairman at the end of his twelve-month term and unanimously approved Angelika’s appointment to Chairman for a period of two years from this date. The prospect of several board members stepping down or having less time available to devote to the EBMA meant that a lot of thinking needed to be done. 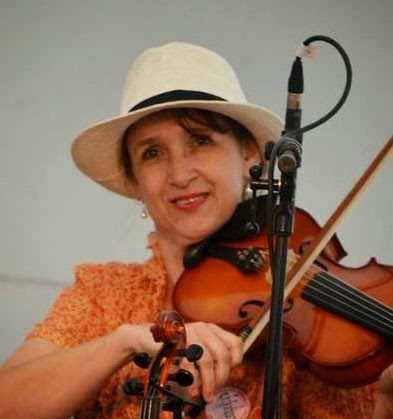 The announcement of the European Bluegrass Music Association receiving the honour of an IBMA Distiguished Achievement Award gave Angelika renewed motivation and, as her personal situation has become more settled, she made this a conscious decision to step back into the leadership position for EBMA. Angelika will work hard on maintaining and extending networks and strategic cooperations to strengthen the European bluegrass scene once again and bring ends back together. However, success will heavily depend on new forces joining the team. If you are willing to dedicate about one hour per week to help EBMA promote and establish bluegrass music, please send a message to Angelika and let her know how you might help. IBMA's World of Bluegrass 2014 in Raleigh, North Carolina - will you be there? The city of Raleigh, North Carolina and the Bluegrass world are preparing for the IBMA World of Bluegrass event - the second year that this has been held in Raleigh. Over the five days of the World of Bluegrass so much takes place from the Bluegrass Music Awards, Wide Open Bluegrass, the Bluegrass Ramble and the StreetFest; as Donna Ulisse says in this video 'the opportunities are endless'. The Bluegrass Music Awards are always an exciting time for all of the nominees and fans but this year, this is especially exciting for the EBMA as the EBMA will be receiving a Distinguished Achievement Award which will be collected by EBMA Chairperson Angelika Torrie along with Rienk Janssen, Christopher Howard-Williams and Chris Keenan. Taking place on Friday, October 3rd and Saturday October 4th, Wide Open Bluegrass brings together some of the biggest names in Bluegrass with shows at the Raleigh Convention Center and Red Hat Amphitheater. The Bluegrass Ramble is held over five night and seven stages - more information about the Ramble and how to buy tickets can be found here. The StreetFest is a free event and features 80 bands on multiple stages, a dance tent, concessions...a Bluegrass jamboree. From a European perspective, and of particular interest, is that Irish bands I Draw Slow and Cup O'Joe will be appearing. 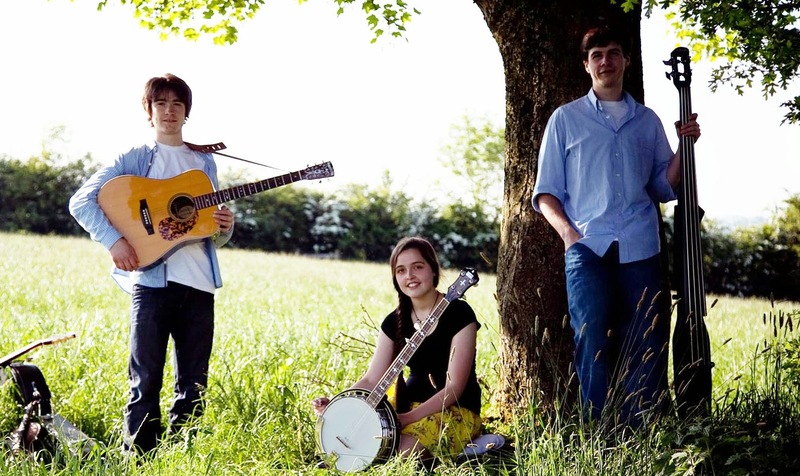 I Draw Slow have been appearing in the US at festivals such as MerleFest and Pickathon. Cup O'Joe are the only non-US band that have been invited to appear on the Youth Stage. 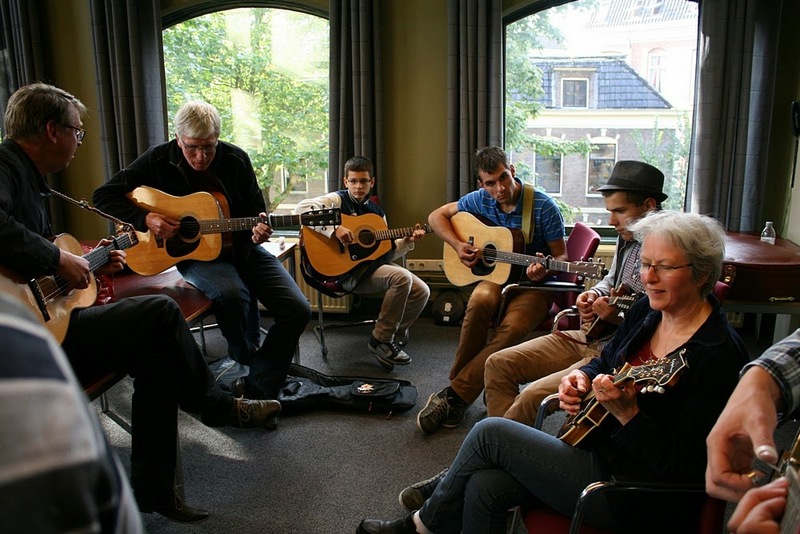 The second edition of this acoustic and autism-friendly bluegrass festival in Grevenbicht in Limburg, one of the Dutch provinces, will be held on Saturday, 25 October 2014. Limburg is in the far southeast of NL, very close to parts of Germany and Belgium. The festival will be held in Oos Hoes, Schoolstraat 2 in 6127 BG Grevenbicht, from noon until approximately midnight. Admission is € 10 per person at the box office, or € 7.50 in advance. You may order your tickets at that price at stautivriendelijklimburg@gmail.com. Besides the main attraction, the musical program with ten bands, there will be workshops and a trade show (booths with instruments, CD's and LP's, information). There are also possibilities for jam sessions, in the hall during the breaks, and in the cafe-part of the building. So, don't be shy, bring your instrument and see what will happen. The festival will be organised in a way that it will be easy for people with various degrees of autism to attend, or to function as volunteer. For this there will be some assistance from healthcare professionals. We don't know, but we would sure be happy to meet and greet YOU!